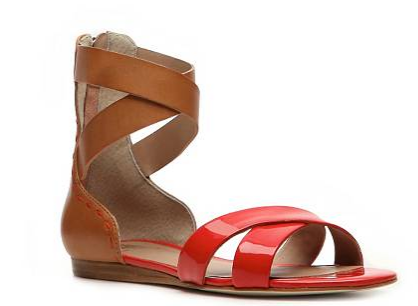 A while back I scored these Pour la Victoire 'Fabia' sandals on sale for $49 on Ideeli.com (originally $225). 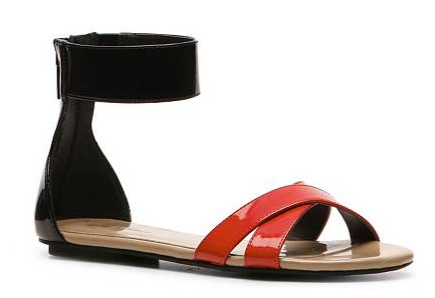 They're my go-to sandals for the summer and I also wore them all throughout my pregnancy (including my baby shower). I've tried to find them in other colors, but they now retail for $125--sigh. I recently spotted a very similar look for less from Michael Antonio for just $34. They look pretty similar (except it's in black) and at a much friendly price-tag. They also come in white and tan, which is another cute color combination. Here's where you can get them.